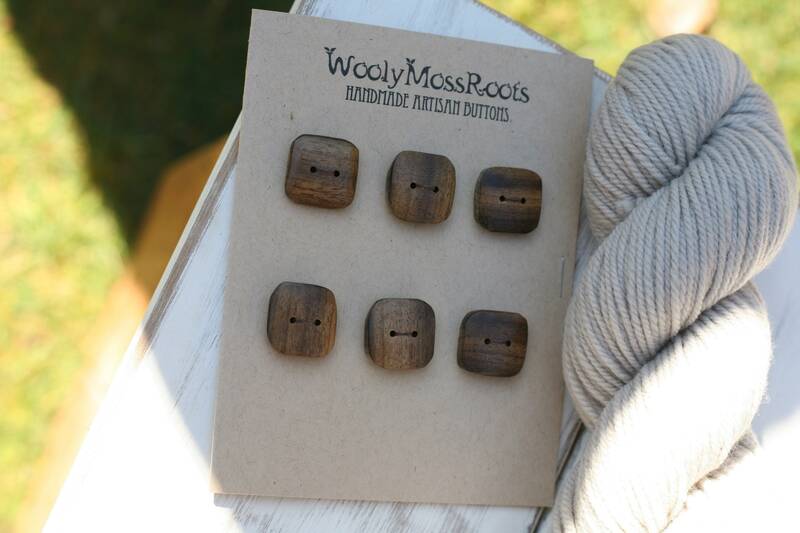 These handmade wooden buttons were created by my husband Jeff in Oregon myrtlewood. Myrtlewood is a special (and beautiful wood) that grows in southern Oregon and northern California, along the coast. According to folklore, it is said to bring prosperity. I love the unique rounded square shapes that Jeff created. Sanded smooth, you'll love the way they feel. 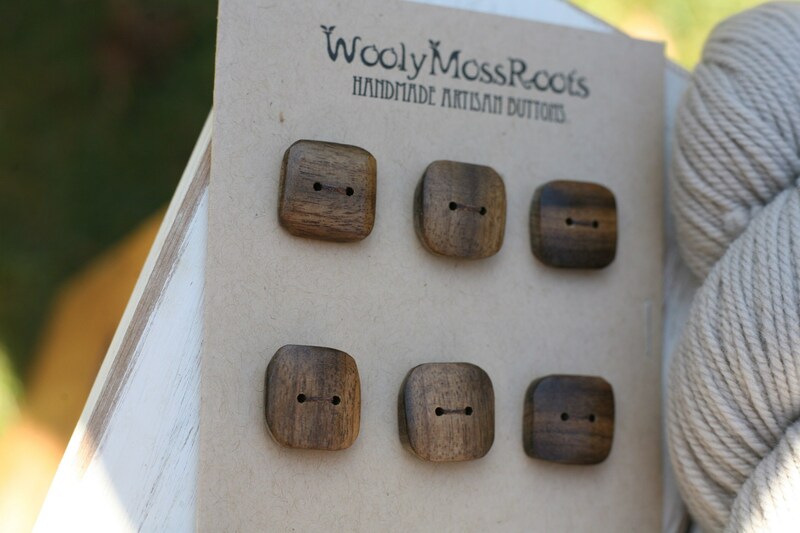 These buttons are a different style than he usually makes, sanded smooth on the front and less sanded around the edges. 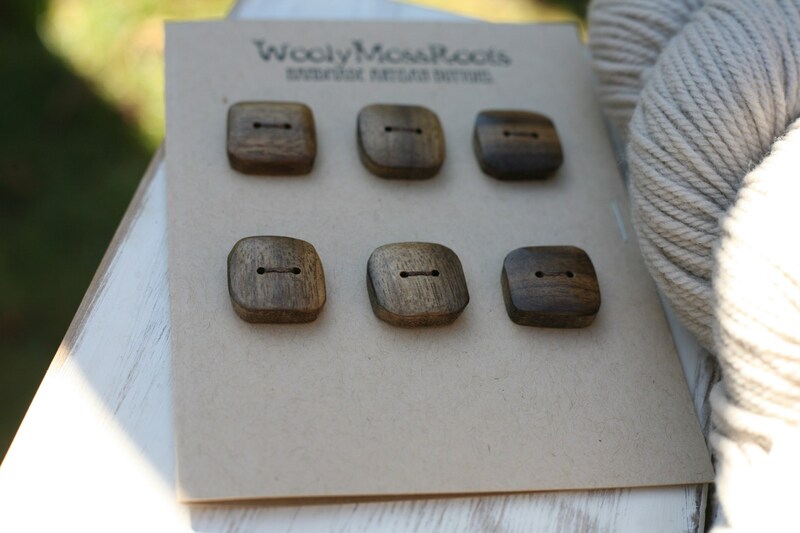 Pictured with grey yarn, these buttons would pair nicely with many different colors. Sure to add a beautiful, and special touch to your creative projects! Measurements: Just a little over 3/4 inch wide. 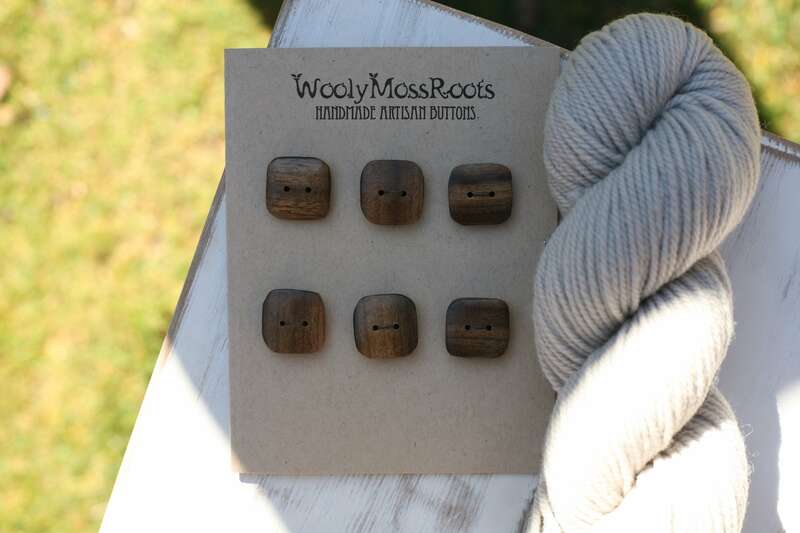 Beautiful wood + lots of sanding + natural oil finish + polishing on the buffing wheel + a whole lotta love = some gorgeous buttons for your special projects. 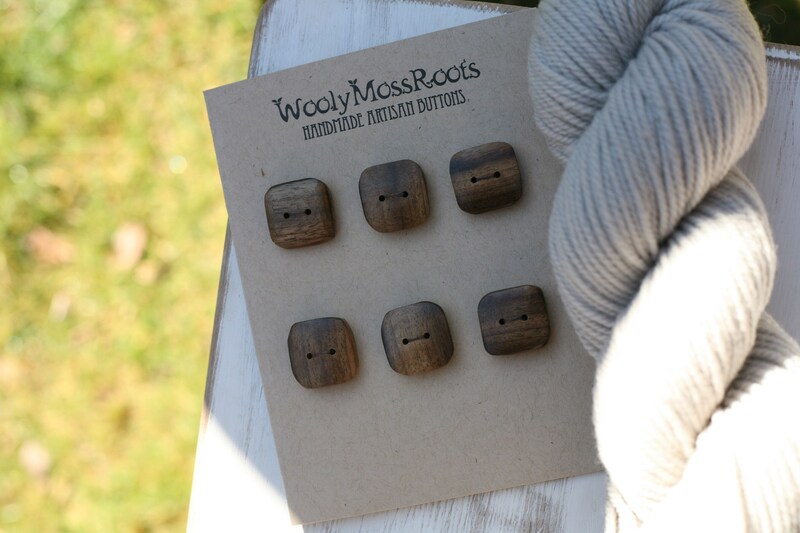 ~Care Instructions~ Care for these buttons as you would wool: hand wash garment in cool water and lay flat to dry. If the wood should dry out from washing, a little walnut oil (or other natural oil) on a soft cloth works well to moisturize them. Oiling them will keep your buttons beautiful and protect them from drying out.